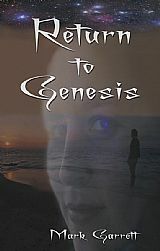 The fifth book in the Angels Cry Too series, Return to Genesis, is now available through all the usual channels from May 2014. Follow the links on the product page to find discounts on all the books in the series in the Troubador on-line Bookshop. All the books in the Angels Cry Too series are available to download for all formats of e-readers. Visit your favourite download site! Author Mark Garrett is offering for a limited time, the chance to purchase all 5 books in the Angels Cry Too series at the special price of £20.00, which includes P&P. Send a cheque or postal order made payable to M Garrett. 131 Broadway, Yaxley Peterborough, PE7 3JD. All copies signed if requested.